Free plants for your garden! What a sweet sound. It is possible if you can find and collect seeds right in your own back yard! Cranberries reach their peak and are ready for harvesting in the fall, starting around mid-September until around mid-November. These beautiful, tart little jewels grow on long running vines in bogs. A bog is an area of soft, marshy ground with acid peat soil, usually near wetlands. They can be found all over North America, from Massachusetts to New Jersey, Oregon to Washington, Wisconsin, and parts of British Columbia and Quebec. 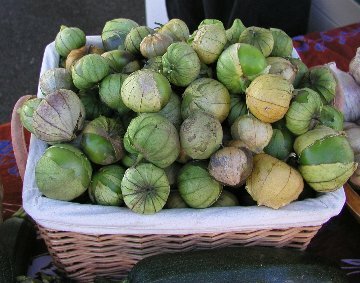 NH Tomatillos — Who Knew?? I grew tomatillos last year for the first time and found they were very prolific. I love Mexican flavors and found a wonderful recipe for green salsa.